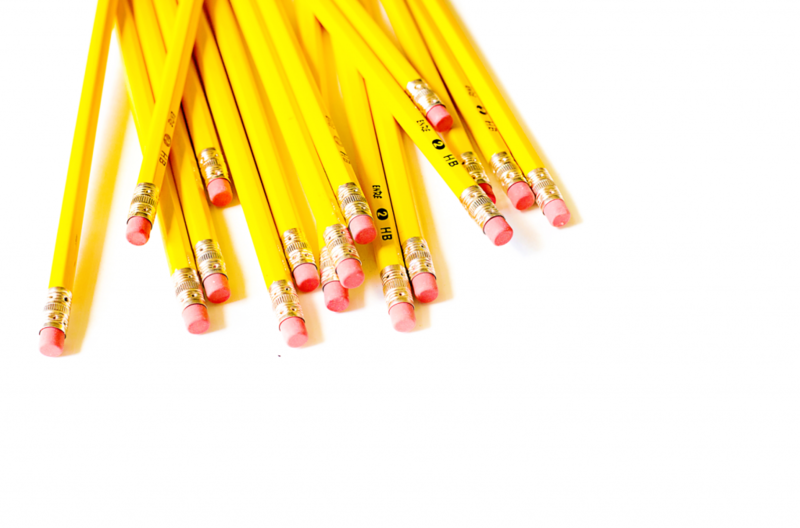 I’m so excited to bring you another post about sight words! When I was teaching kinder and first grade, I couldn’t tell you how many times I spoke to parents about the importance of sight words. I probably sounded like a broken record, but it’s so true! They help build speed and fluency when reading and students should learn to recognize them without sounding them out. The more they are practiced and used, the easier it will be for students to read fluently and even help them build an expanded vocabulary. In my experience, the best way to help students learn and identify sight words was through tons of hands-on learning! Below I’ll be sharing some of my favorite sight word resources and tips. Here is one of my go-to Pinterest Boards on all things literacy and writing. 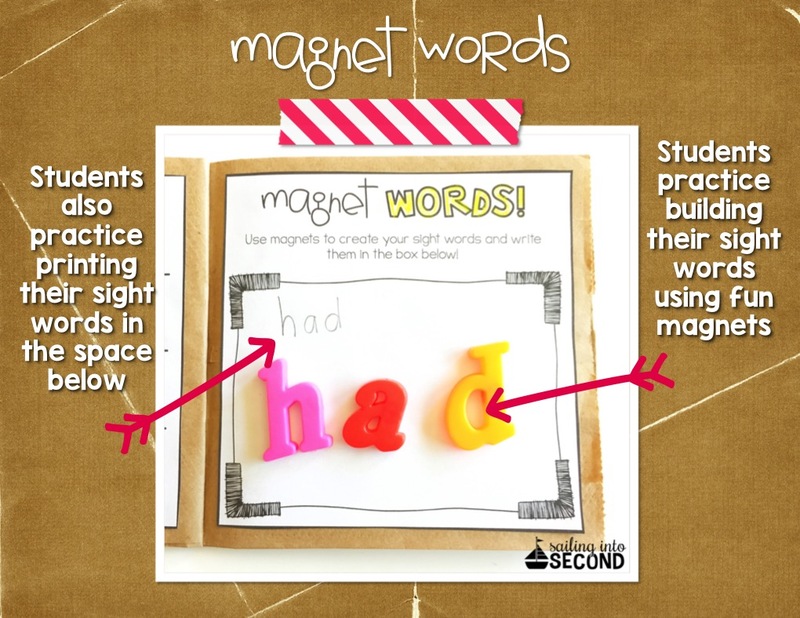 You’ll find TONS of great ideas on how to help teach sight words. Starfall.com is an amazing FREE site that has tons of interactive games and readers to help with sight words and reading! Another resource I like to use is My Sight Word Paper Bag Book. 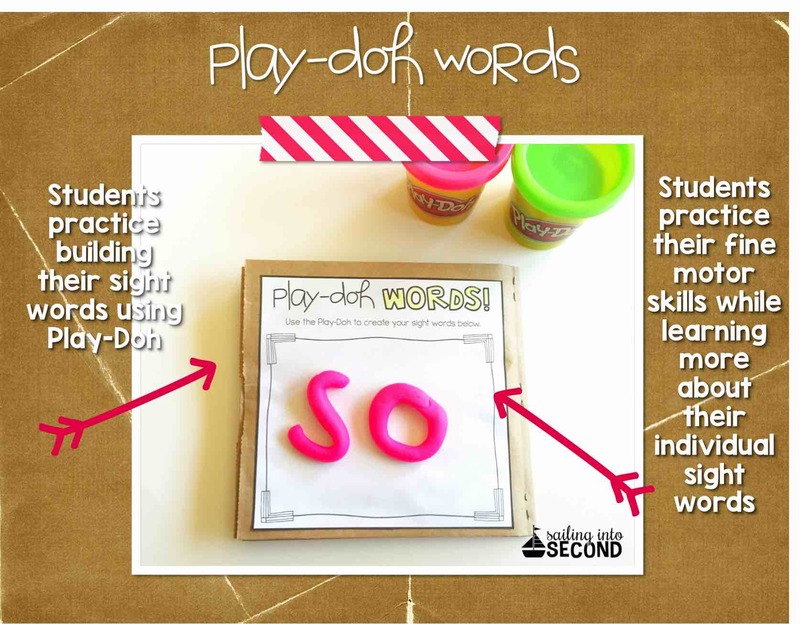 It includes various hands-on ways to help your students practice their sight words. Each engaging activity is versatile, so you can use your own sight word list too. 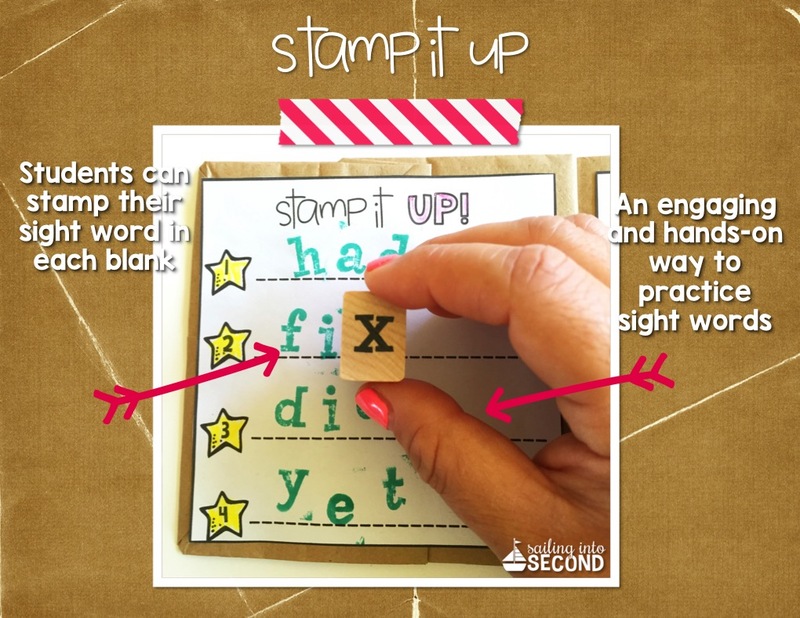 Students can use stamps to create their sight words, Magnets to build words, fancy pens or markers to practice writing out their words in a “fancy” way, and even use Play-Doh to create their words! Kids LOVE using Play-Doh! See examples of all those engaging activities below! 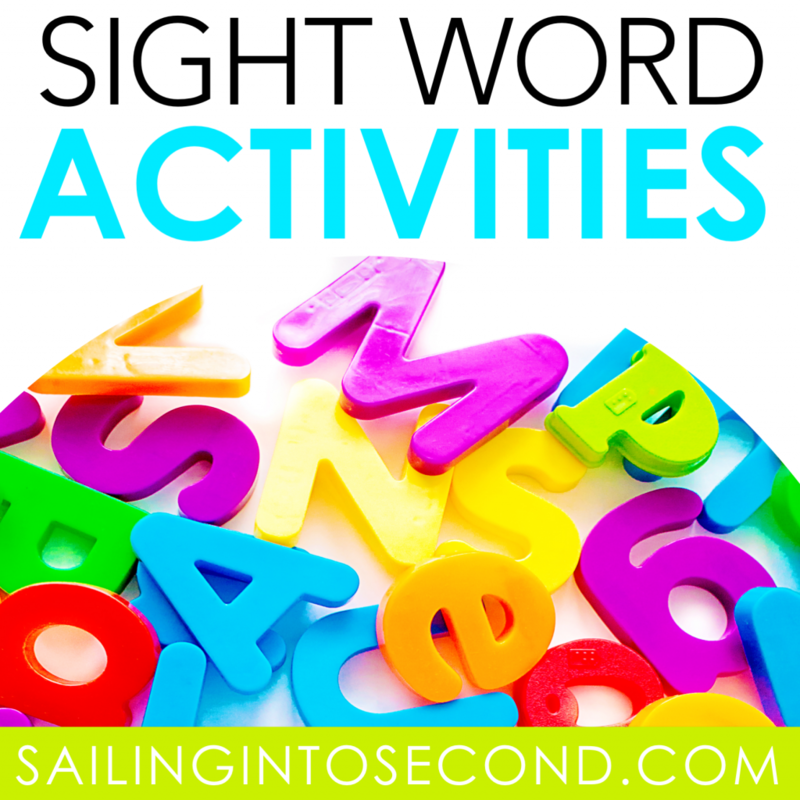 What activities help your students learn and identify their sight words? I LOVE your sight word paper bag book! So versatile and cute! My kids will love it! 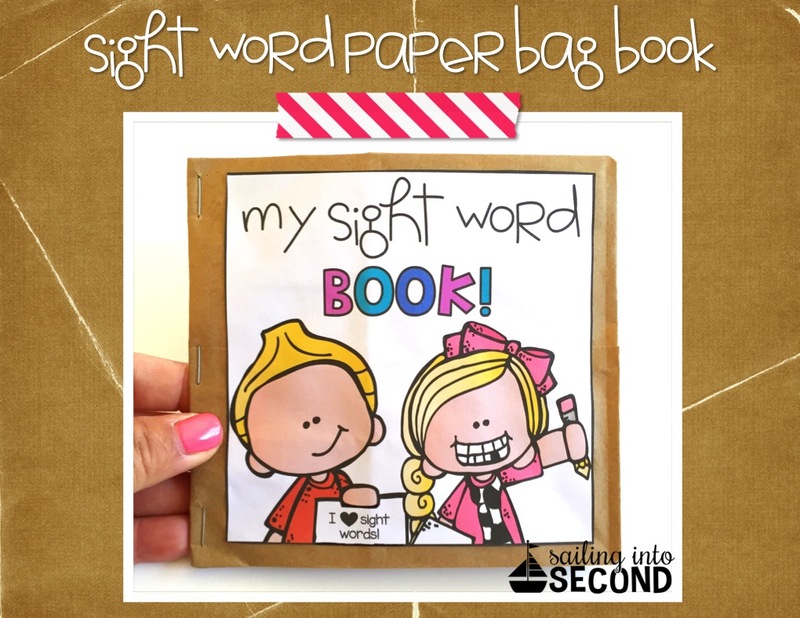 How have I not known about this sight word paper bag book!? It looks awesome! And Starfall is a staple in my classroom. What a fun post on Sight Words! My first graders LOVE Starfall! I am so glad you mentioned them! I love the paper bag book! What a fun way to keep students engaged, and it’s so hands on. Love it!! I love all of these ideas. I have a bunch of old scrapbooking letter stamps at home that I’m going to bring in next week. Thank you! The Sight Words Paper Bag Books are fantastic! Love that idea! Thanks for sharing.